All great hosts and hostesses know that throwing a great party is a science - and having the best equipment is crucial. Your guests will be willing participants in all your experiments when you whip out these test tube shooters. Each plastic shooter has a 2 ounce capacity, a flat bottom, is Prop 65 compliant, and FDA approved. Choose from eight festive colors, or mix up some fluorescent style beverages to make your party come alive! 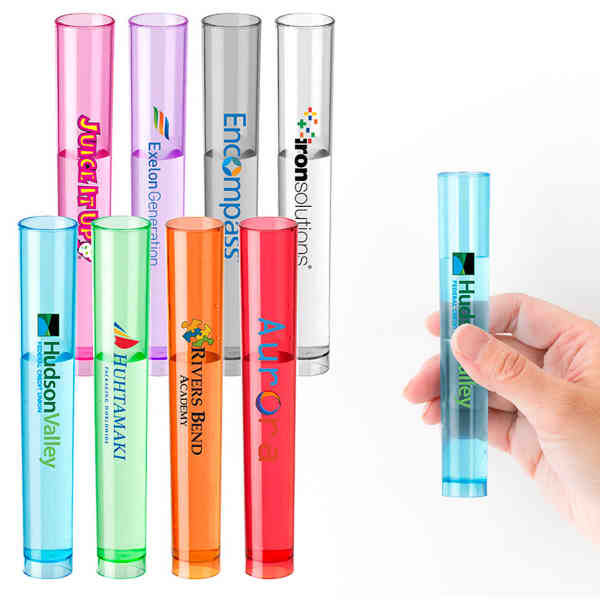 Add a brand name or logo to these shooters and you'll be ready to create chemistry with this branded campaign. They're the perfect match for summertime parties, July 4th celebrations, barbecues, outdoor concerts, charity events or whatever fun events you can conjure up.